The phone is costly but if you want quality products with varied features, this is worth buying. Dual front camera helps you click great selfies, 20Mp front camera gives DSLR quality pictures. 4GB RAM with 64GB internal storage is perfect for power packed performance. It is one of the best performing phone with excellent specifications and features. 14 Pricebaba users have written their experience with Vivo V5 Plus. If you own Vivo V5 Plus, please do leave your feedback too. Lowest price of Vivo V5 Plus price in India starts at Rs. 18,000 Vivo V5 Plus is available on Flipkart at Rs. 18,990 and on Amazon at Rs. 18,000. Prices updated on 20th April 2019. 1. Does the Vivo V5 Plus support VoLTE in India? 2. 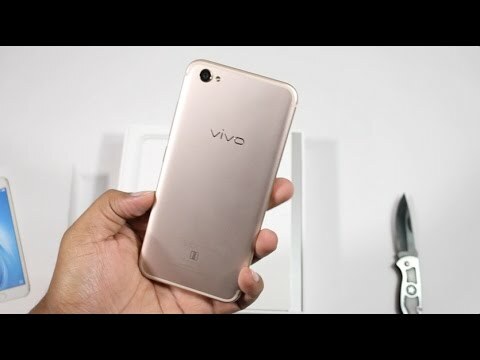 What SIM card does the Vivo V5 Plus use? 3. How is the selfie camera on the Vivo V5 Plus? Ans: The V5 Plus has a dual selfie camera on the front in the form of a 20-megapixel sensor and an 8-megapixel sensor. 4. Does the Vivo V5 Plus support USB OTG? Ans: Yes, the Vivo V5 Plus has support for USB OTG. 5. Does the Vivo V5 Plus have a removable battery? Ans: No, the battery on the V5 Plus is non-removable. 6. Does this phone have expandable storage? Ans: No, the Vivo V5 Plus has 64GB of internal storage which is further not expandable.